They’re tiny devices with enormous impact. Behind almost every modern electronic gadget, from smart phones to tablets, lie Compound Semiconductors (CS). Here, Professor Peter Smowton, Managing Director of the Institute of Compound Semiconductors, outlines the power of these successors to silicon chips, and explains how a new EPSRC Compound Semiconductor Manufacturing Centre for Doctoral Training (CSM CDT) will help keep South Wales at the forefront of emerging CS technologies. 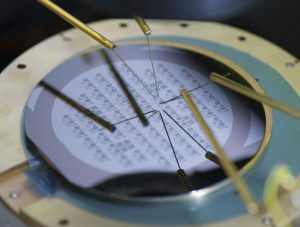 Compound Semiconductors are at the heart of society. Inside almost every mobile phone worldwide are tiny components produced in Wales. 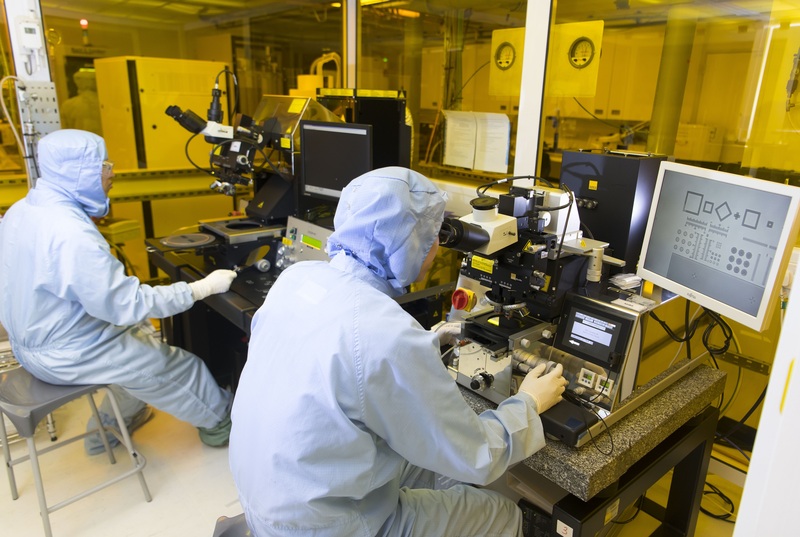 The Cardiff-based global wafer manufacturer IQE is working with companies along the M4 corridor to shape CS Connected – the world’s first cluster for CS technologies. Defined by the European Commission as a Key Enabling Technology, CS product applications have the potential to create prosperity and jobs. The knowhow underpins the future development of 5G networks, energy efficient lighting, satellite communications, power electronics for electric vehicles and new imaging techniques, to name but a few. Simply put, these technologies support our connected world, our health, our security and the environment. But future breakthroughs can only be achieved through rapid evolution in CS manufacturing. The CSM CDT is fantastic news for Cardiff University, for Wales and the UK economy. It will help us deliver better-trained, industry-savvy PhDs with the expertise craved by industry. 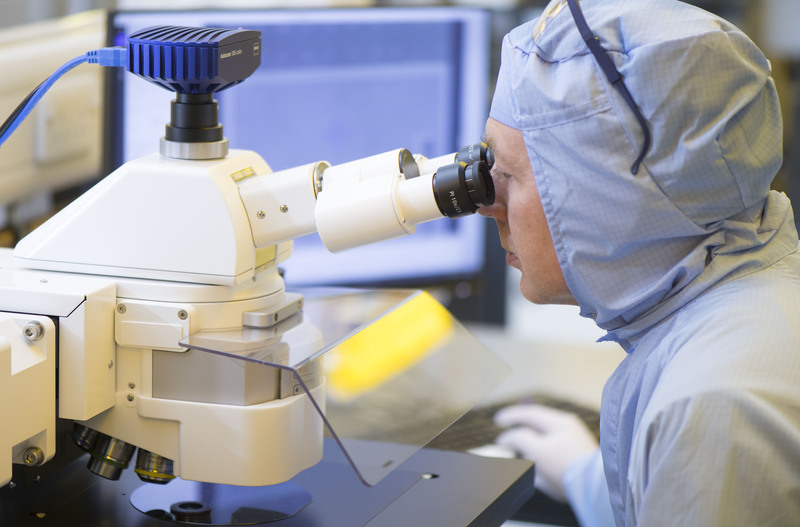 Funded by UK Research and Innovation through the Engineering and Physical Sciences Research Council (EPSRC), the CDT has been co-created by IQE, the Compound Semiconductor Centre (a 50/50 partnership between Cardiff University and IQE), Newport Wafer Fab and the Compound Semiconductor Applications (CSA) Catapult. An alliance between Cardiff, UCL, Sheffield and Manchester universities, the CDT will work with 24 companies, many already working closely together via the EPSRC Future CS Manufacturing Hub, based at Cardiff. With established excellence in CS disciplines, we will provide PhD training that is industrially relevant and intellectually challenging. We aim to recruit a minimum cohort of 64 students, with EPSRC funding 40, and the four universities plus industry supporting another 24. Our vision is of PhD graduates with the skills to change the face of UK CS Manufacturing. They will do this by radically boosting the uptake of CS technology in applications through the ability to apply the manufacturing approaches of Silicon to CS. Supporting UK companies along the supply chain, they will help them to exploit the highly advantageous electronic, magnetic, optical and power handling properties of CS and pioneer novel integrated functionalities such as sensing, data processing and communication. Our mission is to supply the UK with scientists and engineers with relevant skills and knowledge across the entire supply chain. This benefits not only the manufacturing of materials and devices, but also the systems and applications that use them. We expect manufacturing supply chains that begin, and sometimes end, in the UK, but where much of the value is gained elsewhere, to be brought back to the UK in their entirety and that the UK becomes the centre of innovation in new CS enabled applications. Clusters need constant nurturing. In effect, that means cross-fertilisation of people and ideas and, most importantly, the supply of skilled staff to support rapid growth in order to reach critical mass for sustainability. The predicted increase in PhD level jobs in just the current cluster companies could employ all the CDT graduates over the next 5 years, and there are many more companies and academic positions demanding people with such skills. The CSM CDT will go beyond the production of knowledge. We will offer critical communication and leadership skills to create a connected group of PhD students who will keep interacting throughout their careers. Unlike traditional PhDs, that tend to focus on one aspect, the CDT will provide a holistic understanding of the entire manufacturing process as well as expertise in at least one stage. Having an overview of the whole process, whilst understanding the work of different companies, is key to developing the future leaders of CS Manufacturing. As the UK steers its way to a new relationship with Europe, our new Centre may go some way to helping Wales, and its abundance of CS expertise, stay globally competitive in uncertain economic times.